Product Development or Affiliate Marketing? Which one is better? « What is eCommerce & Why Everyone Talking About It? products. However lets discuss about affiliate marketing and product development. I want to share with my opinion on the matter as I do think they are like the proverbial “chicken and the egg” situation so to speak as they both go hand in hand with each other. Let me first elaborate about Affiliate Marketing. The bulk of the money made from Affiliate Marketing is through Email Marketing. If you are doing Affiliate Marketing with Email Marketing I suggest you do Product Development. 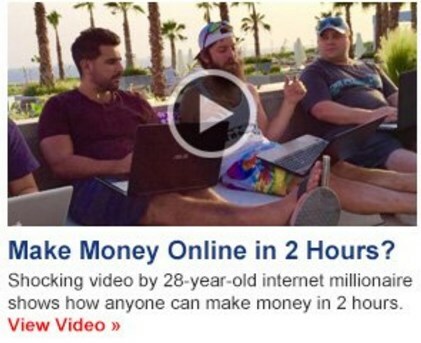 This is because if it is all you do is to buy traffic from example Facebook Ads and Solo Ads to your Affiliate Products, this will increase the risk of you loosing a lot of money. 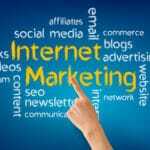 However on the other hand if you build your Internet Marketing Business around Email Marketing, your chance of success will be much more greater. Lets say you have built up an Email List of over 10,000 subscribers. This mean you can send emails with affiliate links that can earn you commissions over and over again. These commissions do not have to be small, you can even make up to $10,000 commissions this way. I personally have made hundreds of thousands in commissions over and over again just by promoting someone else products. The trick is to focus on growing your email list over time and that is going to be your greatest challenge. The biggest task is going to be how to get the subscribers on your Email List to click and open your emails. Also you will have to build a great relationship with your email List by providing information of great value to them. The biggest question is how to grow an Email List? You can buy traffic from Facebook Ads, Solo Ads and other Advertisement Platforms that require lots of investment up front. This can however burn your pocket and it usually takes a while to make your money back from buying traffic for Affiliate Products. In my opinion i do believe creating your own product first can help you to build your Email List faster. With Product Development you do not necessarily need to invest heavily in buying traffic. You can get affiliates to promote your products which in turn will build your Email List much faster. However both Product Development and Affiliate Marketing can both work together to generate maximum revenue. The key factor is to set up an Opt-in Page before you send traffic to either your own Product page or your Affiliate product page. The result of getting traffic from both these sources will build your Email List faster and also explode your earnings (exponentially). So Which is Better? Affiliate Marketing or Product Development? The truth is that there is no right answer on whether Affiliate Marketing or Product Development is better. The major difference is that with Affiliate Marketing it is easier to start up while with Product Development it usually takes time and money. However with Product Development once you get everything set up and working properly, your business could explode and make you tons of money. I do recommend that building your own product first is the best way to go if you want to earn a large income much faster. Product Development is how the majority of the most successful Internet Marketers make the bulk of there income online. In the final analysis the decision is yours about which one you would rather do whether to start your own product or to sell Affiliate Products online! 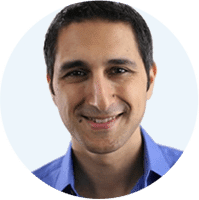 [Footnote] Eben Pagan is one of the most successful Internet Marketers Online who has sold over $100 Million in Digital Products Online. 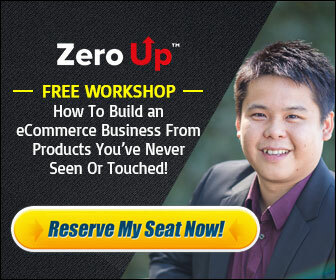 To only a selected few he will be holding a 100% FREE Online Webinar Class where he will be sharing his secrets on how to turn your knowledge, passion or expertise into digital products that you can sell for high prices and Make Millions Online. CLICK HERE to Sign Up Now For This Free Webinar Class before this link expires.